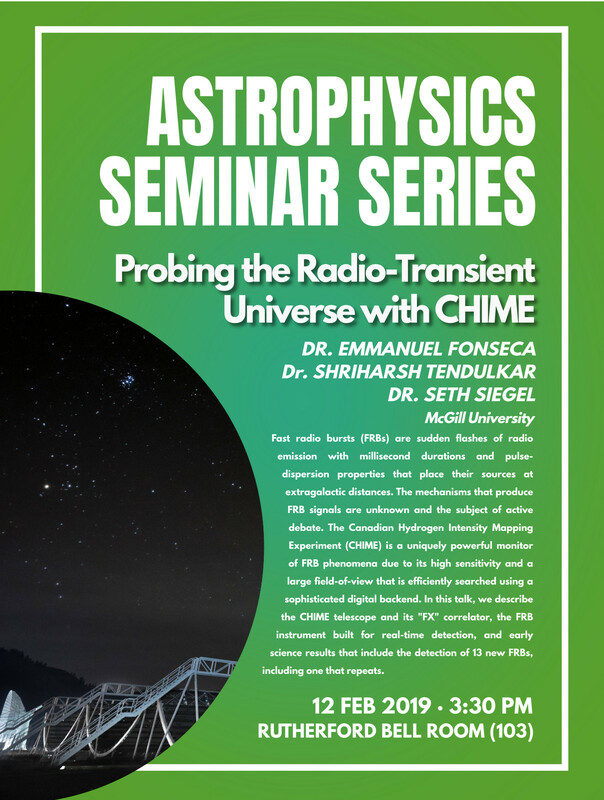 Astro Seminar - "Probing the Radio-Transient Universe with CHIME"
Fast radio bursts (FRBs) are sudden flashes of radio emission with millisecond durations and pulse-dispersion properties that place their sources at extragalactic distances. 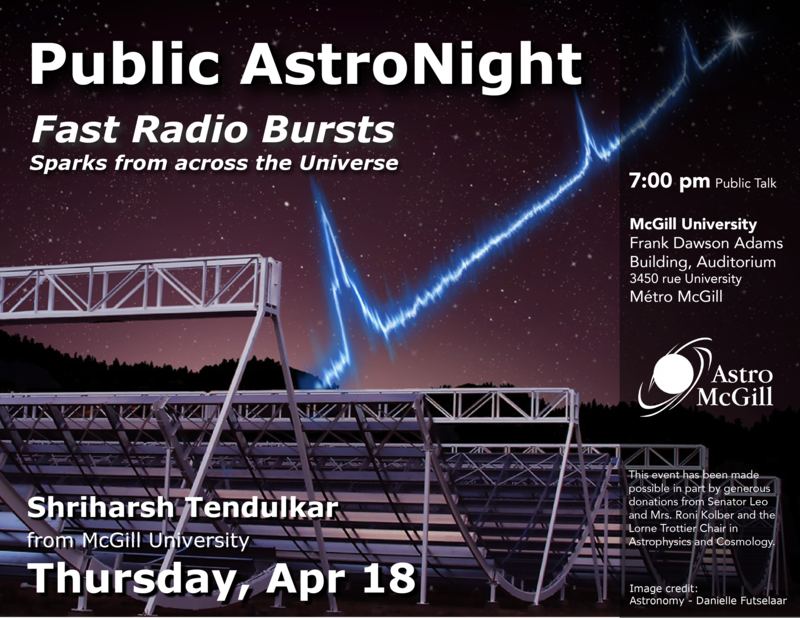 The mechanisms that produce FRB signals are unknown and the subject of active debate. The Canadian Hydrogen Intensity Mapping Experiment (CHIME) is a uniquely powerful monitor of FRB phenomena due to its high sensitivity and a large field-of-view that is efficiently searched using a sophisticated digital backend. 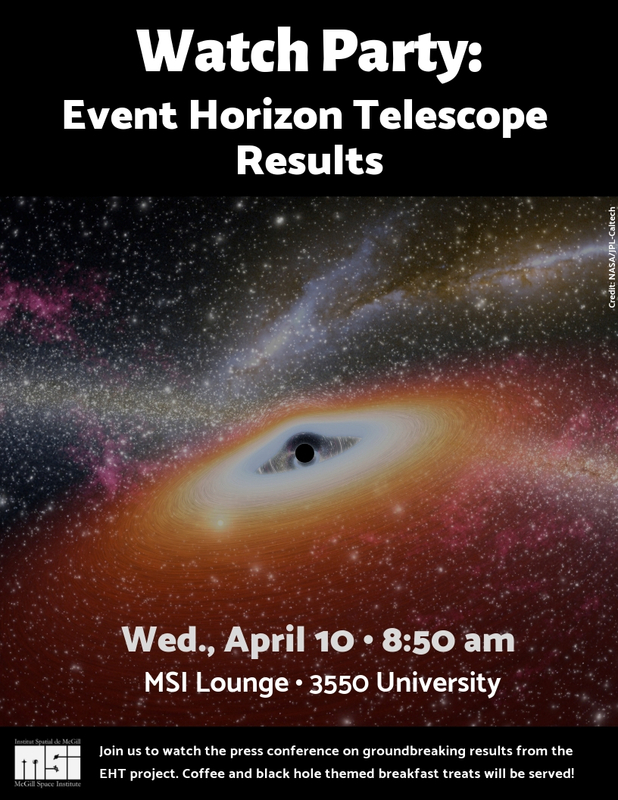 In this talk, we describe the CHIME telescope and its "FX" correlator, the FRB instrument built for real-time detection, and early science results that include the detection of 13 new FRBs, including one that repeats. 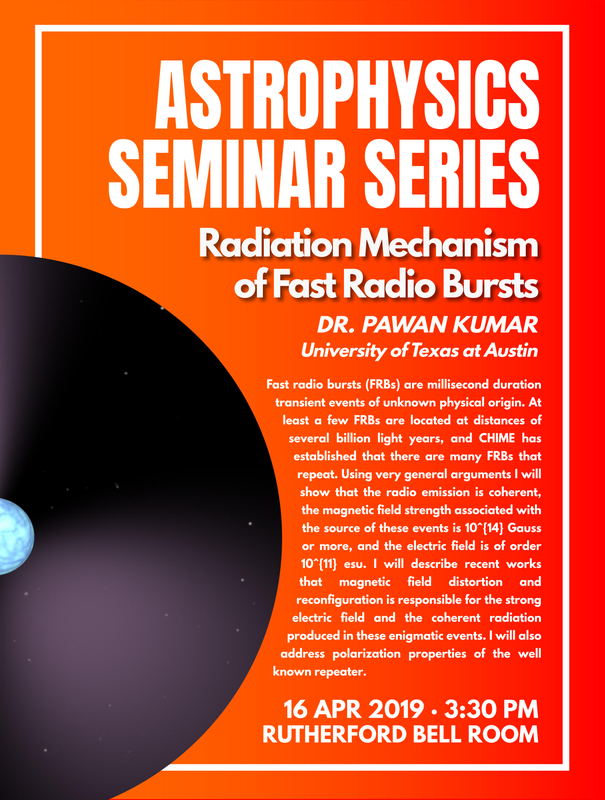 Astro Seminar - "Radiation mechanism of Fast Radio Bursts"
MSI Seminar - "What’s on the menu? 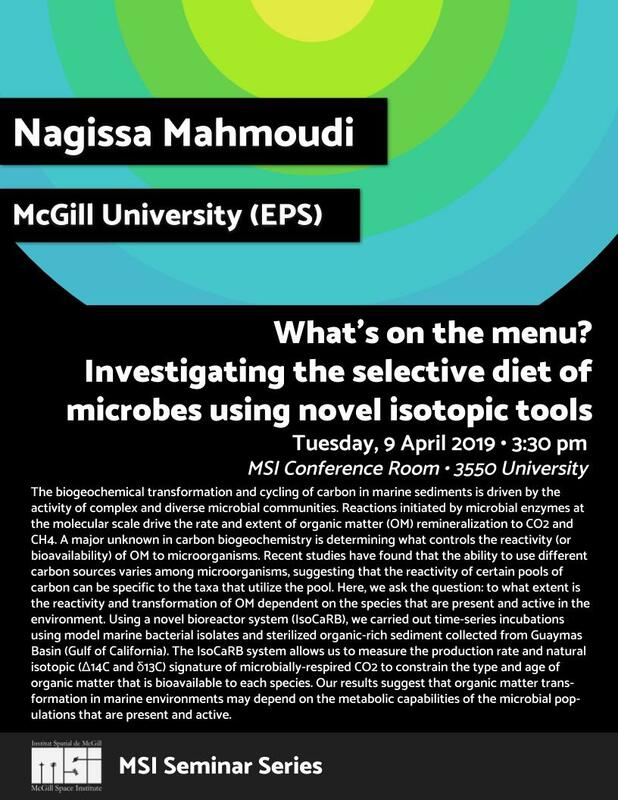 Investigating the selective diet of microbes using novel isotopic tools"